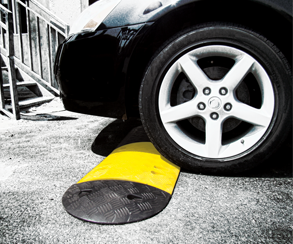 Speed Bumps and Bumper Guards are used extensively in commercial parking garages and building service areas for vehicular, human and parking safety. 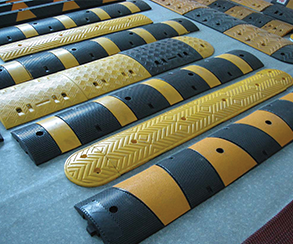 Their profiles are designed to maximize wall surface area protection and high impact absorption. 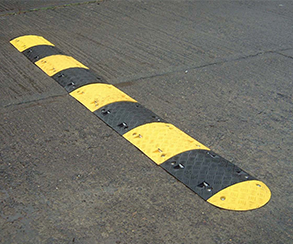 Speed Breakers are designed to control the speed of vehicles. 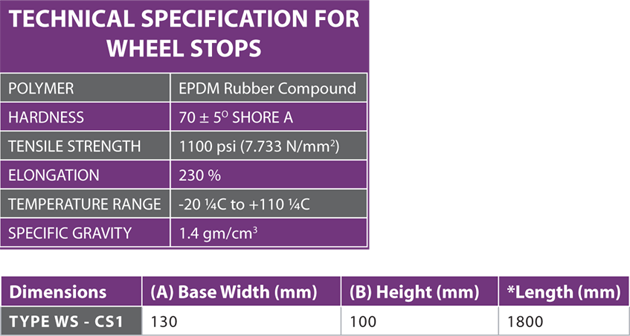 Speed Breakers are made of specially formulated synthetic polymer to get prolonged service life, and cushioning effect to moving vehicles. 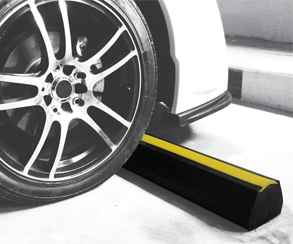 Speed Breakers are used in roads, vehicle pathways in parking area of buildings, service stations, vehicle testing centers and similar applications. - This type is manufactured from Natural, SBR, or EPDM rubber according to the different weather conditions, providing flexibility in all situations. - Slows traffic to 8-15 Kmh. - Low maintenance - does not need painting. - Lightweight - ten times lighter than concrete. - Allows for single-person installation.